Friends of Family Farmers brings farmers and ranchers together with consumers to address issues facing family-scale agriculture in Oregon. We hold biennial Farmer and Rancher Listening Sessions to hear directly from producers and guide our advocacy efforts. This process began back in 2010, leading to the creation of the Agricultural Reclamation Act, a farmer-produced roadmap for sound agricultural policies and strong local food systems in Oregon. We give farmers a voice in efforts to promote and protect small and mid-sized family farms and socially responsible agriculture in Oregon. Our Farmer Program also includes the Oregon Pasture Network, a network of producers engaged in family-scale pasture-based livestock production, to provide consumers an alternative to large-scale concentrated animal feeding operations. Learn more about the Farmer Program here. We might not all be farmers, but we are all eaters! Friends of Family Farmers launched our Eater Program to help the public better understand the issues that socially responsible family farmers and ranchers face, and the connection between food and farms in Oregon. From tabling at farmers markets and presenting at events and conferences, to our long-running InFARMation Series, we work to educate Oregonians about the value of local, sustainable agriculture and family-scale farms. We also organize periodic Fill Your Pantry events to encourage consumers to purchase in bulk directly from local, family-scale farmers. The average age of farmers in Oregon is nearly 60 years old. Without a plan to get the next generation of farmers on land, with access to education, financing and markets, we stand to lose 25% to 50% of the farmland that is currently in agricultural production in the next 20 years according to the Oregon Department of Agriculture. 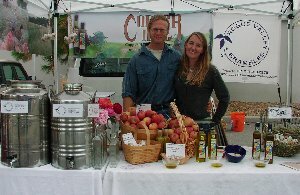 In response, Friends of Family Farmers developed Oregon Farm Link (formerly iFarm Oregon) to connect new and beginning farmers with landowners, job opportunities and resources. 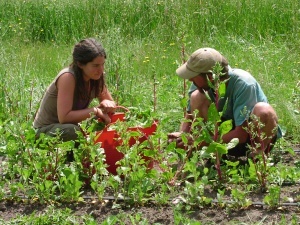 In addition, our Farm On beginning farmer network helps to connect beginning farmers to education, skills and community. This program keeps tabs on the influence that corporate agribusiness entities have in Oregon, as well as state and federal agencies charged with promoting and regulating agricultural activities. We monitor and make the public aware of threats to Oregon agriculture, such as factory farms moving into rural communities and the harmful impacts from lax oversight of genetically engineered crops. We advance legislative and policy proposals organize that support small and mid-sized farms in Oregon, and organize big events like a biennial ‘Family Farms Mean Business’ Rally and Day of Action at the Oregon State Capitol when the Legislature is in session. We publish our ‘Muckboots in the Capitol’ blog when the Oregon Legislature is in session to highlight important bills in Salem and to help you take action. We also publish the ‘Corporate Ag Watch’ blog, which exposes the influence of corporate money Oregon’s agricultural politics. As part of our Watchdog Program, we also provide support to rural communities who are seeing their rural way of life being threatened by factory farms. Please contact us at info@friendsoffamilyfarmers.org if you need assistance in your community. Learn more about our Watchdog Program here.